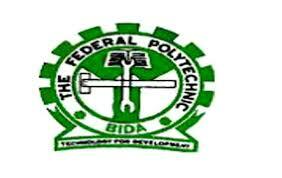 Federal Polytechnic Bida [FEDPOBIDA] In Affiliation with Federal University of Technology, Minna [FUTMINNA] UTME and Direct Entry Degree Admission Form for 2018/2019 Academic Session. Applications are hereby invited from interested and suitably qualified candidates for admission into the following B.Tech Degree Programmes of Federal University of Technology, Minna in affiliation with Federal Polytechnic, Bida 2018/2019 academic session. To apply for admission in any of the underlisted programmes kindly log on to http://eportal.fedpolybida.edu.ng/ug/# to begin online application. Building Technology, B.Tech 180 English Language, Mathematics, Physics and any two from Chemistry, Geography, Economics, Fin Art, Technical drawing, Building Construction and Biology. Electrical/Electronic Engineering, B.Tech. 200 English Language, Mathematics, Physics, Chemistry and any one other science subjects. Quantity surveying, B.Tech 180 English Language, Mathematics, Physics and any two from Chemistry, Economics, Biology, Accounting, Business Method, Geography and Technical drawing. Candidates must in addition to UTME qualification in (A) above have LOWER CREDIT at National Diploma (ND) or MERIT at NCE level. Candidate with IJMB must score a minimum of FIVE (5) POINTS or FOUR (4) POINTS (CPES, FUT, Minna) and pass at least two (2) subjects relevant to their proposed courses. Candidate must in addition to UTME qualification in (A) above have LOWER CREDIT at Higher National Diploma (HND) level in their proposed courses.